The content of Council’s website is provided for general information purposes only. Although Council makes every attempt to ensure the accuracy and reliability of information on this site, Council makes no claim as to the accuracy or authenticity of such content. Furthermore, Council does not accept any liability whatsoever for any information or advice provided on this website or incorporated into it by reference. Council does not accept any liability whatsoever for any loss or damage incurred (including consequential loss or damage) however caused which may arise either directly or indirectly as a result of the use of the information or arising out of the provision of the information on this website, or as a result of reliance placed upon the content of this website. Council has provided links to other sites for the convenience of visitors. However, Council is not responsible for, nor specifically endorses or supports the content or services that may be offered by these sites. Nor does Council warrant the accuracy of any information found through those links. Please direct questions and comments regarding these other sites to the authors of the respective sites. The information contained herein is the property of the South Burnett Regional Council. When you access the information contained in the website, you agree to retrieve, download or print out for your personal use only. No part of this web site may be reproduced, published or adapted in whole or in part for any commercial purpose without the written permission of the Chief Executive Officer. 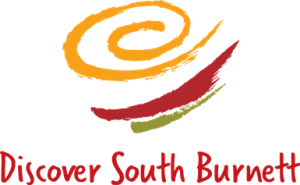 All trademarks displayed on this site are subject to the legal rights of South Burnett Regional Council or other trademark owners and the unauthorised use of any trademark displayed on this site is strictly prohibited. By visiting our website, you are accepting the practices described in this Disclaimer. The information we collect from you helps us continually improve your experience whilst visiting our site. If any aspects of our disclaimer statement change, we will post changes here on this page so that you are always aware of what information we collect, and how we use it. We receive and store information you enter on our website or give us in any other way. You can choose not to provide us with certain information. We use the information that you provide us for such purposes as responding to your requests, improving both the content and functionality of our site, and communicating with you. Information about our community is an important part of our business and as such we do not sell, trade or make available your personal information to others. We share information provided by you only with other departments within South Burnett Regional Council. If you have a problem, issue or concern about the services, decisions or actions of Council, we would like to hear about it. All you have to do is let us know about your complaint and we will direct your concern to the department best able to deal with it.